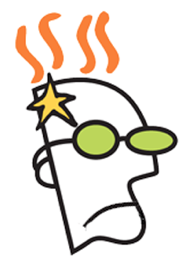 GoDaddy didn't quite meet its 99.999% uptime goal this week when technical difficulties affected a huge number of websites and millions of users. Every cloud has a silver lining and this cloud's lining comes in the form of GoDaddy apologies -- apologies backed by hard cash (er, credits). "Click here to redeem" link before GoDaddy awards your credits. Claimed credits are good for two years towards future purchases. 30% off everything including new purchases and renewals using discount code "Apology4a". 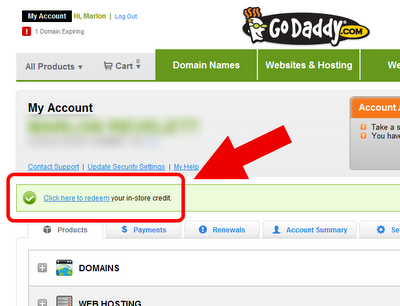 GoDaddy regularly offers renewal discount codes up to 20% so this isn't spectacular but it's not bad, either. In fact, it just saved me $70 on some of my own pending renewals. Got a GoDaddy account? Go get your credits!